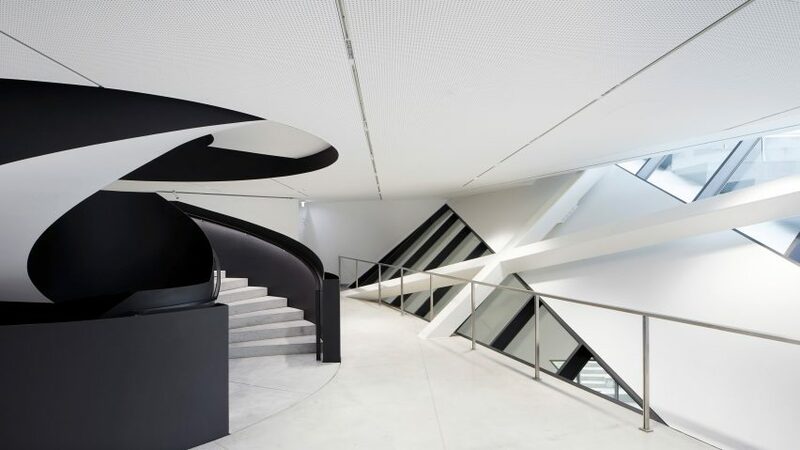 Black and white stairways splice and spiral through the Studio Libeskind-designed MO Museum of modern art in Vilnius, Lithuania. 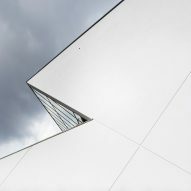 New York-based Studio Libeskind, established by Daniel and his partner Nina Libeskind in 1989, designed the art museum to display its collection of over 5,000 pieces of Lithuanian art, including rare Soviet-era pieces. 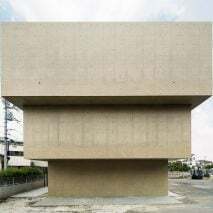 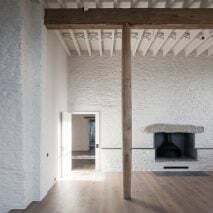 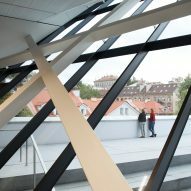 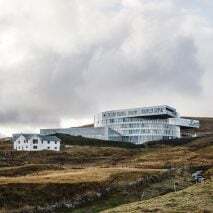 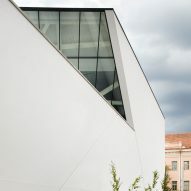 A minimalist facade of white plaster covers the museum's angular form, which is disrupted at one corner by a stairway slicing through the building, which leads to a public roof terrace. 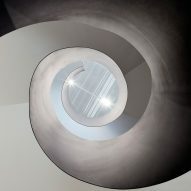 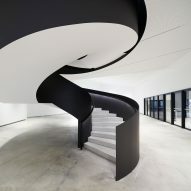 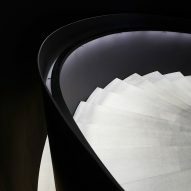 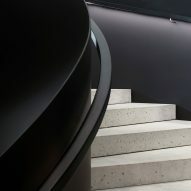 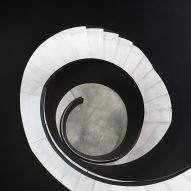 A large black spiral staircase with contrasting white treads corkscrews through the centre of the MO Museum, connecting the lower lobby to the main gallery space. 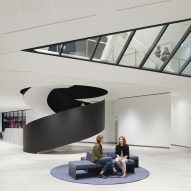 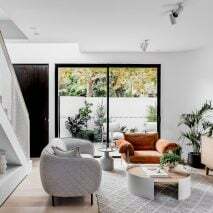 Glazed lobby walls stretch two stories from the ground level entrance, and a cantilevered five-metre-high glass wall leans out over the terrace, with black frames that contrast the white facade and cross-hatching interior beams. 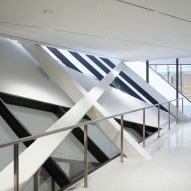 Geometric skylights cut through the building throughout, letting light filter through the floors and giving visitors lines of sight through the different spaces. 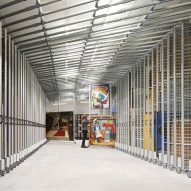 Glass panels between the public spaces and the museum collection vaults, where undisplayed pieces are stored, give visitors a glimpse into the behind-the-scenes workings of the museum. 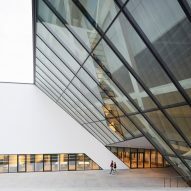 This level of transparency and permeability, both spatial and visual, between art collection, museum and visitor was key to Studio Libeskind's concept for the space and the mission of the MO Museum. 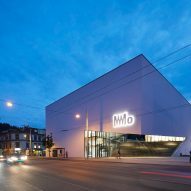 Started in 2009, the MO Museum is a non-profit, philanthropist-founded organisation publicly displays Lithuanian art from 1960 onwards. 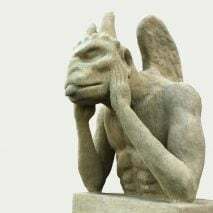 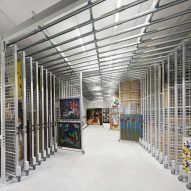 Particularly important is its collection of Soviet era pieces, which had been omitted from other museum collections until Lithuania gained independence in 1990. 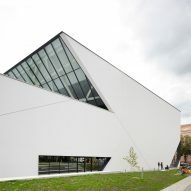 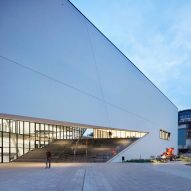 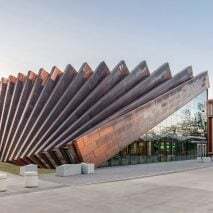 "One of the reasons I am drawn to Studio Libeskind's work is that it is both iconic and democratic," said the museum co-founder Viktoras Butkus. 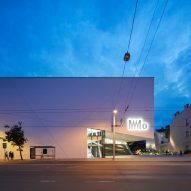 "The MO Museum is the largest private museum in Lithuania, so it is important to me that museum expresses openness and reflects the ethos of the collection as well as the institution." 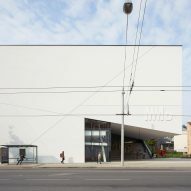 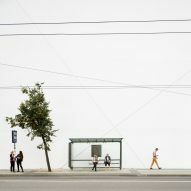 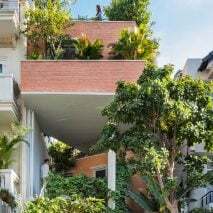 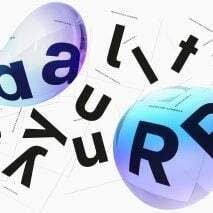 A public garden at street level will display the winning sculptures from the Lithuanian National Prize for Culture and Arts. 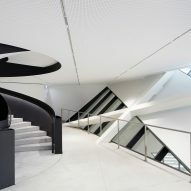 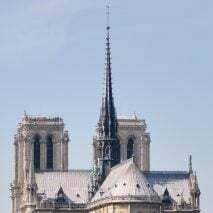 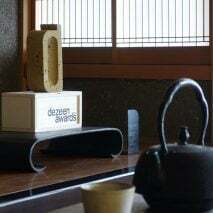 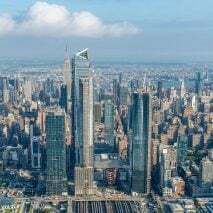 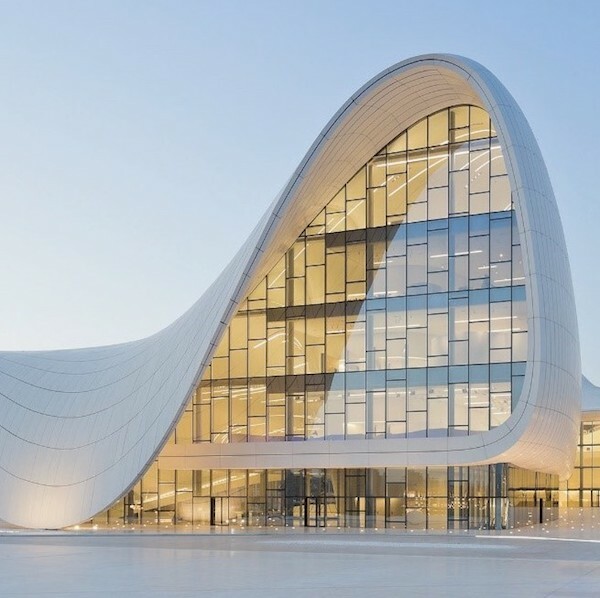 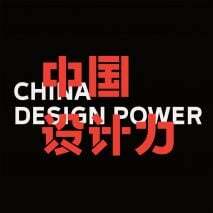 "Having designed many large scale museums around the world, it was thrilling to design an intimate and iconic museum for a great collection of contemporary art," said architect Daniel Libeskind. 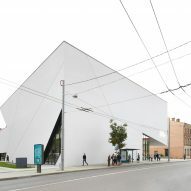 "As someone who has a true appreciation for the history and beauty of Vilnius, I believe the building and its architecture will become a wonderful place to enjoy art and the spirit of the city." 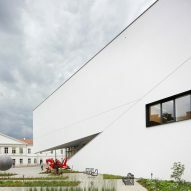 Situated between the medieval walled city and the grid of the 18th century areas, the museum was also, according to the architect, designed to act as a "gateway" for Vilnius. 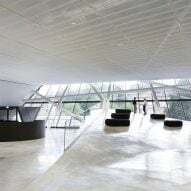 Daniel Libeskind's studio completed its first project in China this year, a museum in Wuhan with an arching form clad in triangular steel panels. 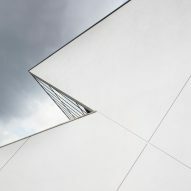 Last year Studio Libeskind created a holocaust memorial for Canada, with tall concrete walls laid out to create a fractured Star of David when viewed from the air.